What’s the fastest way to make someone smile? You’re looking at it! 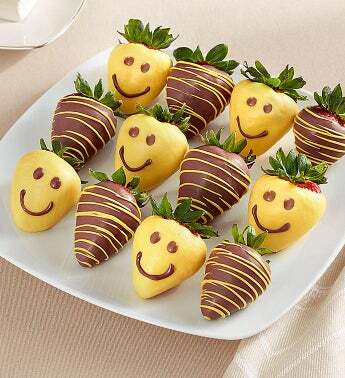 A dozen scrumptious, dipped strawberries flash festive grins to put the happy in someone’s day—for a special celebration or just because. 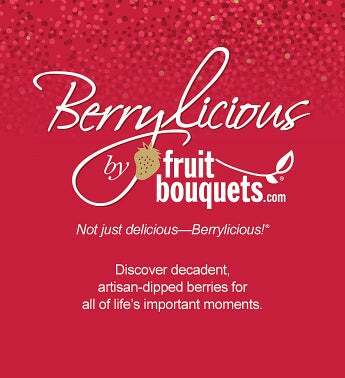 Not just delicious—Berrylicious®! Allergy Warning: Products may contain peanuts and/or tree nuts. We recommend that you take the necessary precautions based on any related allergies. 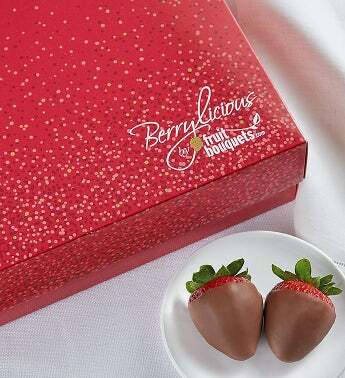 Offering artisan, hand-dipped berries and fruit, our Berrylicious brand uses premium ingredients and the freshest fruit to create memorable gifts for all the important occasions in life. Not just delicious, Berrylicious.